Birch and I have not been on the AT in a while so I was excited to be going on an 8 mile hike, and even more excited about the prospect of hiking four days in a row. Loft Mountain Campground is a perfect place to hang out for the week while we indulge in some time on the AT. 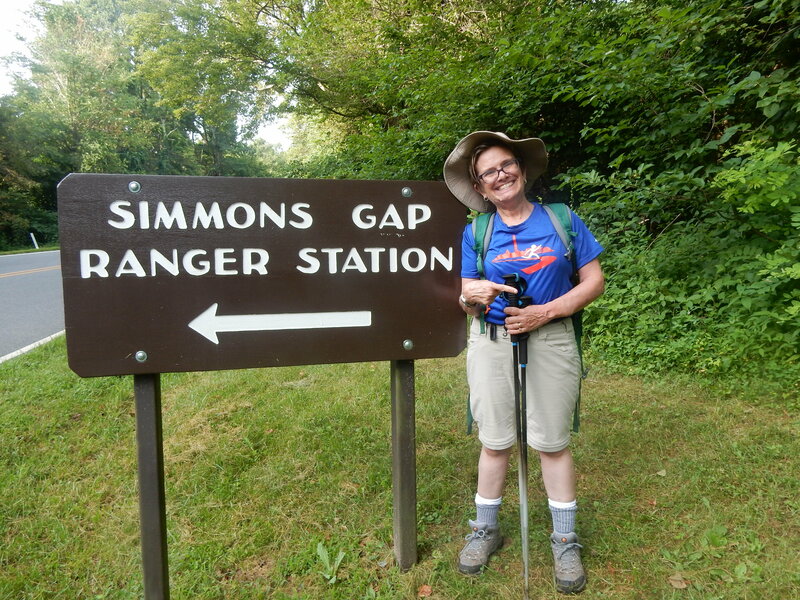 The hike from Simmons Gap begins with a 500 ft./ 1 mile ascent. About 15 minutes into the hike, Birch shouted, “Bear, left!” Where? I didn’t see it. “No, the trail bears left,” he said with a grin. Yeah, very funny. Unfortunately, his sense of humor was in fine form the entire hike. The trail goes up, down, up, then down. We stopped at an overlook to have a snack and met a father/son duo hiking from Georgia to Harper’s Ferry. I think it is so cool to see families doing the trail together. 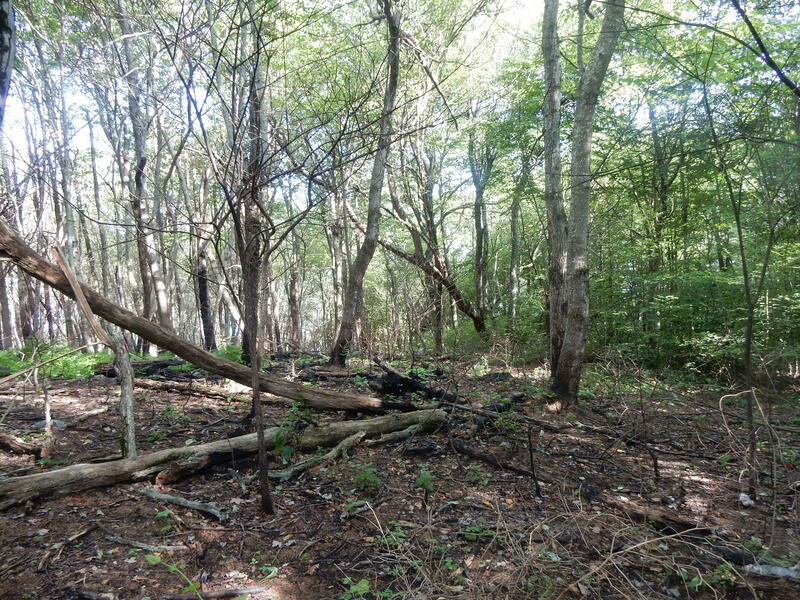 I was fascinated when we went through a section of the trail that had experienced a major forest fire this past spring. The area is really bouncing back. The birds seemed to be very happy here. After hiking a while once more, we were startled by a commotion in a tree about 10 yards ahead of us. A bear half leaped, half stumbled out of the tree! I’m very glad he saw us before we saw him because “Bear, left” was much better than having the bear land on top of us. We ate lunch at a viewpoint and were ready to be done. The heat was getting to us! How awesome was it to end the hike at the camp store, where Gatorade and a cool shower awaited!?!. This entry was posted in Maple's Jots on Jaunts, Shenandoah, Virginia Hikes and tagged A.T., Appalachian Trail, bears, Day Hike, Loft Mountain, Shenandoah, Shenandoah National Park, Simmons Gap, Virginia, virginia hikes, weekend hikes by Maple. Bookmark the permalink.